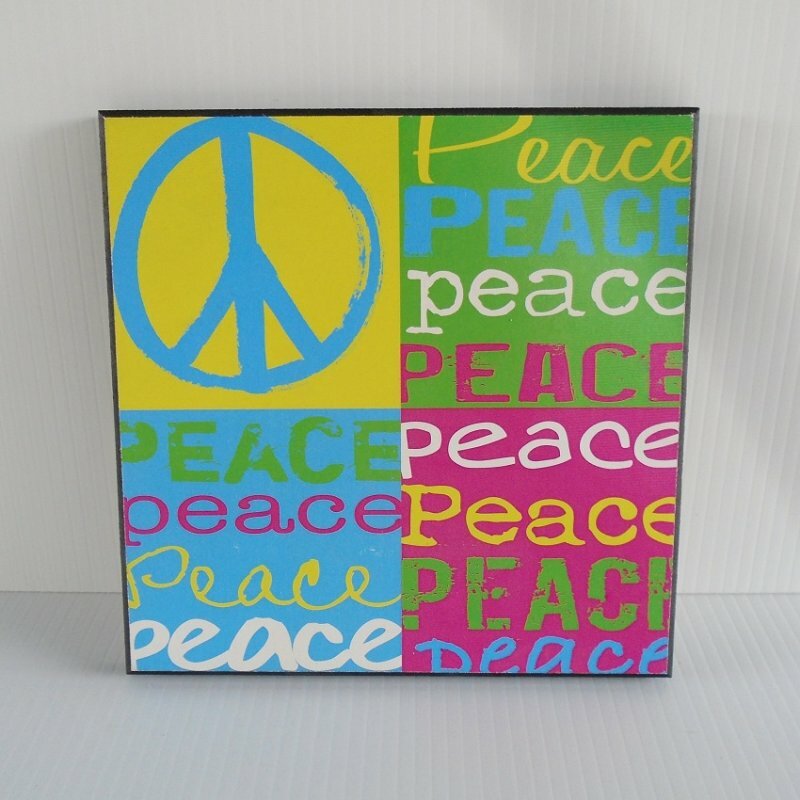 Colorful Peace Sign plaque. Made of wood. Measures 8 by 8 by 1/2 inch. Can hang on wall or stand. Excellent condition. Estate sale find. Solid wood plaque or sign that simply says Peace. The colors are green, blue, deep pink, and white. It is square and measures 8 by 8 inches and is one half inch thick. There is a slot on back for hanging on a wall or it can stand propped up.